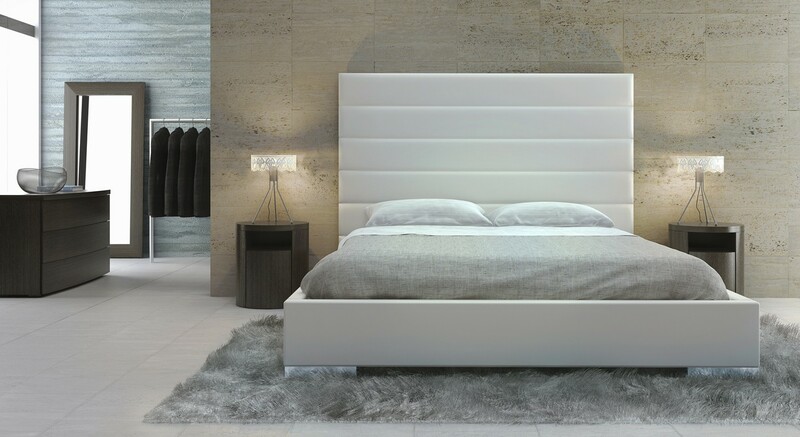 Adorn your bedroom with the striking Prince bed. 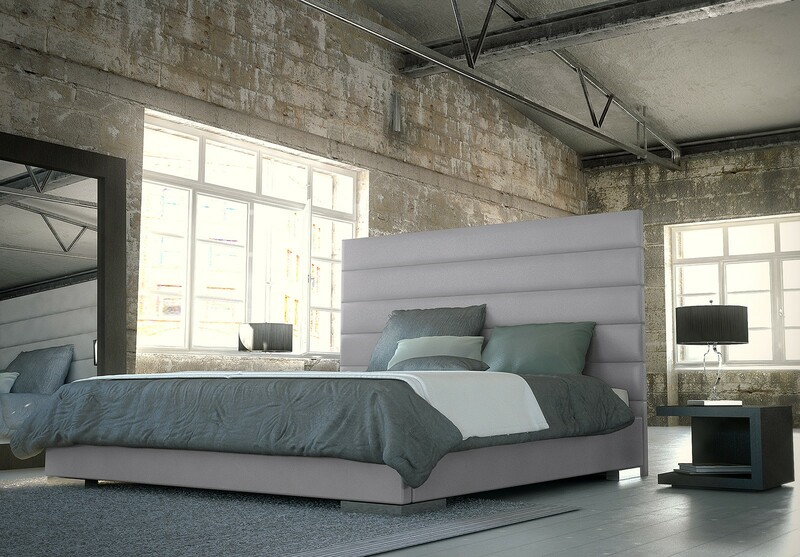 Its strong appearance features a tall eco leather panel-tufted headboard standing five feet tall. 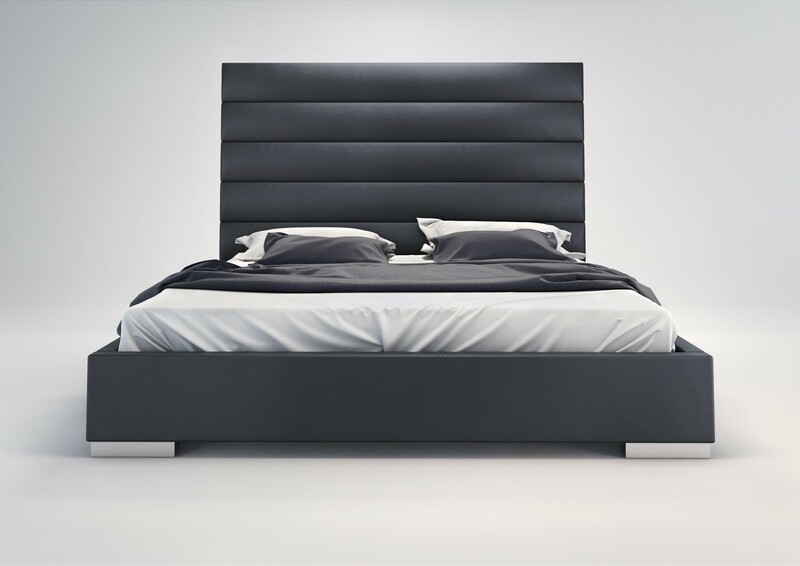 Tailored side rails and footboard complete the bed, and because of its trim proportions, the Prince can accommodate any limited space rooms. Low profile chrome feet finish its modern appearance perfectly. The mattress sits snuggly atop a solid pine-slat base for stylistic durability and added comfort. Platform height measures 14 inches (2 inch inset). Available in California-King, Eastern (Standard) King, and Queen sizes. Limited Edition Summer Blue eco leather contains gray dark tones and blue highlights. Assembly required. Mattress not included. Imported. 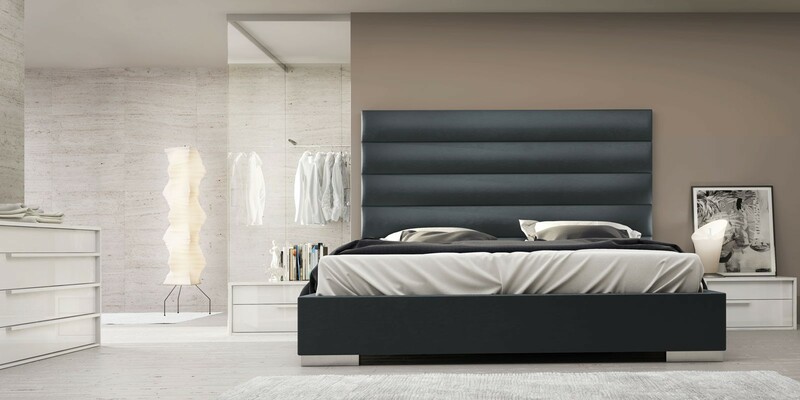 NOVA Interiors, specializes in selling fine brands of contemporary and modern furniture in Greater Boston Area and Nationwide is glad to introduce you a new supplement to our Modern furniture and Contemporary furniture collection. Please enjoy our new products by ModLoft. 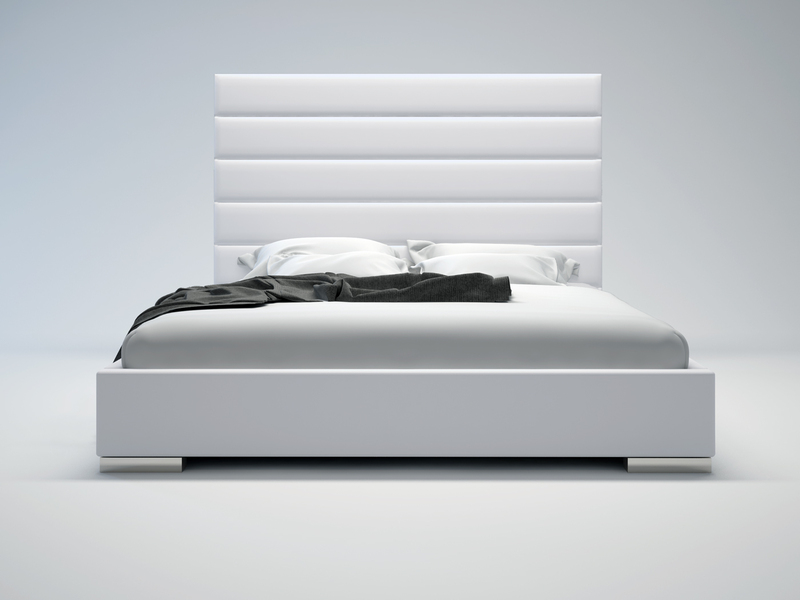 ModLoft is passionate about making luxurious urban furniture accessible for all modern enthusiasts. No cheap imitations. ModLoft works with a hand-selected team of designers from around the world to create innovative pieces that are stylish, sophisticated, and meticulously crafted. Just the way you like it. 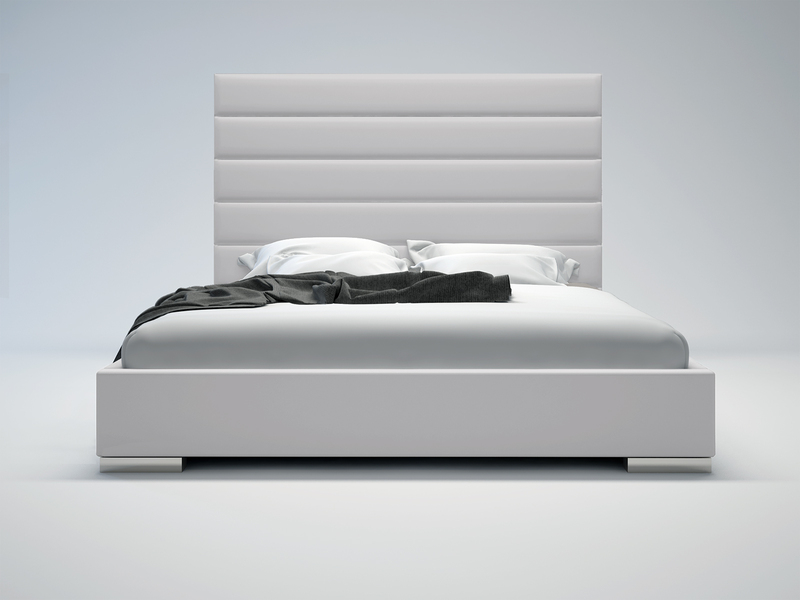 Those contemporary silhouettes, sleek lines, and glossy finishes you love are finally accessible. So go ahead. Check out our newest ModLoft catalog. We made it just for you.